Our main purpose is to characterize the class of L-convex polyominoes introduced in  by means of their horizontal and vertical projections. The achieved results allow an answer to one of the most relevant questions in tomography i.e. the uniqueness of discrete sets, with respect to their horizontal and vertical projections. 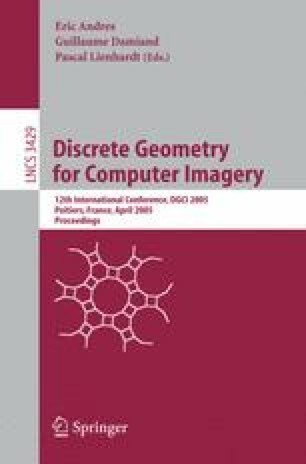 In this paper, by giving a characterization of L-convex polyominoes, we investigate the connection between uniqueness property and unimodality of vectors of horizontal and vertical projections. In the last section we consider the continuum environment; we extend the definition of L-convex set, and we obtain some results analogous to those for the discrete case.